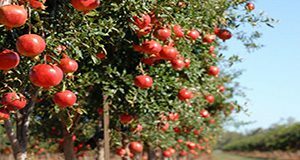 The study described in this 6-page fact sheet written by Feng Wu, Zhengfei Guan, and Gary Vallad and published by the UF/IFAS Food and Resource Economics Department provides a description of pomegranate production practices and preliminary cost estimates to inform investment and production decisions when growers look to diversify and grow pomegranate as a niche crop. 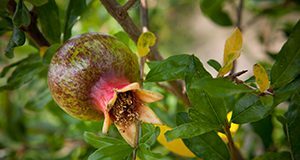 Purple Sunset is a new ornamental cultivar of pomegranate, Punica granatum. Purple Sunset pomegranate is distinguished from fruiting pomegranate by a bushy, compact habit and numerous flowers followed by small, ornamental, purple-black fruit. This 2-page fact sheet was written by Gary W. Knox, and published by the UF Department of Environmental Horticulture, June 2014.